Michael Paine, B.Sc., B.D.S., Ph.D.
2000 - 2002 - Clinical Dentist - Part-time in the city of Whittier (California, USA).Practice limited to the diagnosis and treatment of periodontal disease and implant dentistry. 1989 - Clinical general - dentist full-time in the city of Orange (Australia) including part of the year assisting with minor oral and oro-facial surgical cases at Orange Base and Dudley Private Hospitals. 2006 - University of Sydney Short Term Visiting Fellowship. 1999 - The William J. Gies Award for the best paper published in the Journal of Dental Research in 1998 titled "Protein to protein interactions: Criteria defining the assembly of the enamel organic matrix". 1998 - Outstanding Presentation Award, Ninth Intercity Periodontics Research Presentation, California Society of Periodontists. 1996 - University of Southern California School of Dentistry Colby Scholarship. 1995 - Young Investigator Award for the Fifth International Conference on the Chemistry and Biology of Mineralized Tissue, Kohler, Wisconsin. 1993 - Sydney University Faculty of Medicine Traveling Fellowship - Thomas and Ethel Mary Ewing Scholarship in Medicine. 1990 - National Health and Medical Research Council Dental Postgraduate Research Scholarship. Principal Investigator: Michael Paine, B.D.S., Ph.D.
Goal: This grant supports education and training for a select cadre of scholars seeking either a formal PhD degree education or post-doctoral training (both DDS and PhD graduates) with a major focus on dental, orofacial and craniofacial health-related disease processes. Goal: This grant supports education and post-doctoral training for foreign national post-doctoral scholars with a major focus on dental, orofacial and craniofacial health-related disease processes. Selected trainees must have both a dental degree and a PhD, or the equivalent degrees to qualify. Goal: The major goal of this project is to study phosphate ion import channels evident on dental cell membranes with the idea that even a fundamental understanding of phosphate transport in dental tissues will result in opportunities to develop better treatment options for caries and other dental diseases, that impact dental hard tissue health. Goal: The major goal of this project is to understand the normal and abnormal enamel and DEJ formation that will allow investigators to pursue the creation of an enamel and DEJ biomimetic. Goal: The major goal of this project was to identify a definitive function for TIP39kDa, and to explain the nature of the multiple mRNA isoforms observed for this protein in the enamel organ. Goal: The major goal of this project is to investigate the hypothesis that the spatiotemporal expression profiles of AE2 and NBCe1 in ameloblast cells are highly regulated and are responsive to changing extracelluar pH conditions, and any failure in proper AE2 and NBCe1 activity will result in disruptions to the enamel prismatic structure. Herzog CR, Berzins DW, DenBesten P, Gregory RL, Hargreaves KM, Messer RLW, Mina M, Mooney MP, Paine ML, Phillips C, Presland RB, Quivey RG, Scannapieco FA, Sheridan JF, Svoboda KKH, Trackman PC, Walker MP, Walker SG, Wang CY, Hu JCC. (2018) Oral Sciences PhD Program Enrollment, Graduates, and Placement: 1994 to 2016. J Dent Res. 2018 Jan 1:22034517749506. doi: 10.1177/0022034517749506. [Epub ahead of print] PubMed PMID: 29328868. Robertson SYT, Wen X, Yin K, Chen J, Smith CE, Paine ML. (2017) Multiple Calcium Export Exchangers and Pumps Are a Prominent Feature of Enamel Organ Cells. Front Physiol. 2017 May 23;8:336. doi: 10.3389/fphys.2017.00336. eCollection 2017. PubMed PMID: 28588505; PubMed Central PMCID: PMC5440769. Yin K, Guo J, Lin W, Robertson S, Soleimani M, Paine ML. (2017) Deletion of Slc26a1 and Slc26a7 Delays Enamel Mineralization in Mice. Front Physiol. 2017 May 16;8:307. doi: 10.3389/fphys.2017.00307. eCollection 2017. PubMed PMID: 28559854; PubMed Central PMCID: PMC5432648. Lacruz RS, Habelitz S, Wright JT, Paine ML. (2017) Dental Enamel Formation and Implications for Oral Health and Disease. Physiol Rev. 2017 Jul 1;97(3):939-993. doi: 10.1152/physrev.00030.2016. Review. PubMed PMID: 28468833; PubMed Central PMCID: PMC6151498. Sarkar J, Wen X, Simanian EJ, Paine ML. (2016) V-type ATPase proton pump expression during enamel formation. Matrix Biol. 2016 May-Jul;52-54:234-45. doi:10.1016/j.matbio.2015.11.004. Epub 2015 Nov 14. Review. PubMed PMID: 26586472; PubMed Central PMCID: PMC4867139. Nurbaeva MK, Eckstein M, Concepcion AR, Smith CE, Srikanth S, Paine ML, Gwack Y, Hubbard MJ, Feske S, Lacruz RS. (2015) Dental enamel cells express functional SOCE channels. Sci Rep. 2015 Oct 30;5:15803. doi: 10.1038/srep15803. PubMed PMID: 26515404; PubMed Central PMCID: PMC4626795. Wen X, Lacruz RS, Paine ML. (2015) Dental and Cranial Pathologies in Mice Lacking the Cl(-) /H(+) -Exchanger ClC-7. Anat Rec (Hoboken). 2015 Aug;298(8):1502-8. doi:10.1002/ar.23118. Epub 2015 Feb 27. PubMed PMID: 25663454; PubMed Central PMCID: PMC4503507. Yin K, Hacia JG, Zhong Z, Paine ML. (2014) Genome-wide analysis of miRNA and mRNA transcriptomes during amelogenesis. BMC Genomics. 2014 Nov 19;15:998. doi:10.1186/1471-2164-15-998. PubMed PMID: 25406666; PubMed Central PMCID:PMC4254193. Jalali R, Guo J, Zandieh-Doulabi B, Bervoets TJ, Paine ML, Boron WF, Parker MD, Bijvelds MJ, Medina JF, DenBesten PK, Bronckers AL. (2014) NBCe1 (SLC4A4) a potential pH regulator in enamel organ cells during enamel development in the mouse. Cell Tissue Res. 2014 Jul 11. [Epub ahead of print] PubMed PMID: 25012520. Wen X, Kurtz I, Paine ML. (2014) Prevention of the disrupted enamel phenotype in slc4a4-null mice using explant organ culture maintained in a living host kidney capsule. PLoS One. 2014 May 14;9(5):e97318. doi: 10.1371/journal.pone.0097318. eCollection 2014. PubMed PMID: 24828138; PubMed Central PMCID: PMC4020772. Wen X, Lacruz RS, Smith CE, Paine ML. (2014) Gene-expression profile and localization of Na+/K(+)-ATPase in rat enamel organ cells. Eur J Oral Sci. 2014 Feb;122(1):21-6. doi: 10.1111/eos.12106. Epub 2013 Dec 7. PubMed PMID: 24313748; PubMed Central PMCID: PMC4005357. Lacruz RS, de Castro JM, Martinón-Torres M, O Higgins P, Paine ML, Carbonell E, Arsuaga JL, Bromage TG. (2013) Facial morphogenesis of the earliest europeans. PLoS One. 2013 Jun 6;8(6):e65199. doi: 10.1371/journal.pone.0065199. Print 2013. PubMed PMID: 23762314; PubMed Central PMCID: PMC3675139. Lacruz RS, Brookes SJ, Wen X, Jimenez JM, Vikman S, Hu P, White SN, Lyngstadaas SP, Okamoto CT, Smith CE, Paine ML. (2013) Adaptor protein complex 2 (AP-2) mediated, clathrin dependent endocytosis, and related gene activities, are a prominent feature during maturation stage amelogenesis. J Bone Miner Res. 2013 Mar;28(3):672-87. doi: 10.1002/jbmr.1779. PubMed PMID: 23044750; PubMed Central PMCID: PMC3562759. Wen X, Paine ML. (2013) Iron deposition and ferritin heavy chain (Fth) localization in rodent teeth. BMC Res Notes. 2013 Jan 2;6:1. doi: 10.1186/1756-0500-6-1. PubMed PMID: 23281703; PubMed Central PMCID: PMC3556315. Lacruz RS, Smith CE, Kurtz I, Hubbard MJ, Paine ML. (2013) New Paradigms on the Transport Functions of Maturation-stage Ameloblasts. J Dent Res. 2013 Feb;92(2):122-9. doi: 10.1177/0022034512470954. Epub 2012 Dec 14. PubMed PMID:23242231; PubMed Central PMCID: PMC3545694. Lees JD, Robinson C, Shore RC, Paine ML, Brookes SJ. (2012) Cellular uptake and processing of enamel matrix derivative by human periodontal ligament fibroblasts. Arch Oral Biol. 2013 Apr;58(4):348-54. doi: 10.1016/j.archoralbio.2012.08.003.Epub 2012 Aug 29. PubMed PMID: 22939369; PubMed Central PMCID: PMC3587288. Hu P, Lacruz RS, Smith CE, Smith SM, Kurtz I, Paine ML. (2012) Expression of the Sodium/Calcium/Potassium Exchanger, NCKX4, in Ameloblasts. Cells Tissues Organs. Cells Tissues Organs. 2012;196(6):501-9. doi: 10.1159/000337493. Epub 2012 Jun 5. PubMed PMID:22677781; PubMed Central PMCID: PMC3535175. Lacruz RS, Smith CE, Moffatt P, Chang EH, Bromage TG, Bringas P Jr, Nanci A, Baniwal SK, Zabner J, Welsh MJ, Kurtz I, Paine ML. (2012) Requirements for ion and solute transport, and pH regulation, during enamel maturation. J Cell Physiol. 2012 Apr;227(4):1776-85. doi: 10.1002/jcp.22911. PubMed PMID: 21732355; PubMed Central PMCID: PMC3373187. Lacruz RS, Smith CE, Chen YB, Hubbard MJ, Hacia JG, Paine ML. (2011) Gene-expression analysis of early- and late-maturation-stage rat enamel organ. Eur J Oral Sci. 2011 Dec;119 Suppl 1:149-57. doi: 10.1111/j.1600-0722.2011.00881.x. PubMed PMID: 22243241; PubMed Central PMCID: PMC3286129. Snead CM, Smith SM, Sadeghein N, Lacruz RS, Hu P, Kurtz I, Paine ML. (2011) Identification of a pH-responsive DNA region upstream of the transcription start site of human NBCe1-B. Eur J Oral Sci. 2011 Dec;119 Suppl 1:136-41. doi:10.1111/j.1600-0722.2011.00867.x. PubMed PMID: 22243239; PubMed Central PMCID: PMC3374727. Lacruz RS, Smith CE, Smith SM, Hu P, Bringas P Jr, Sahin-Tóth M, Moradian-Oldak J, Paine ML. (2011) Chymotrypsin C (Caldecrin) Is Associated with Enamel Development. J Dent Res. 2011 Oct;90(10):1228-33. Epub 2011 Aug 9. PubMed PMID: 21828354; PubMed Central PMCID: PMC3173010. Chang EH, Lacruz RS, Bromage TG, Bringas P, Welsh MJ, Zabner J, Paine ML. (2011) Enamel pathology resulting from loss of function in the cystic fibrosis transmembrane conductance regulator in a porcine animal model. Cells Tissues Organs. 2011;194(2-4):249-54. Epub 2011 Apr 28. PubMed PMID: 21525720; PubMed Central PMCID: PMC3178086. Lacruz RS, Nanci A, White SN, Wen X, Wang H, Zalzal SF, Luong VQ, Schuetter VL, Conti PS, Kurtz I, Paine ML. (2010) The Sodium Bicarbonate Cotransporter (NBCe1) Is Essential for Normal Development of Mouse Dentition. J Biol Chem. 2010 Aug 6;285(32):24432-8. Epub 2010 Jun 6. PubMed PMID: 20529845; PubMed Central PMCID: PMC2915679. Lacruz RS, Hilvo M, Kurtz I, Paine ML. (2010) A survey of carbonic anhydrase mRNA expression in enamel cells. Biochem Biophys Res Commun. 393(4):883-7. 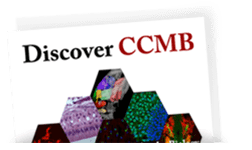 PubMed PMID: 20175995; PubMed Central PMCID: PMC2843801. Lacruz RS, Nanci A, Kurtz I, Wright JT, Paine ML. (2010) Regulation of pH During Amelogenesis. Calcif Tissue Int. 86(2):91-103. PubMed PMID: 20016979; PubMed Central PMCID: PMC2809306. Tannukit S, Crabb TL, Hertel KJ, Wen X, Jans DA, Paine ML. (2009) Identification of a novel nuclear localization signal and speckle-targeting sequence of tuftelin-interacting protein 11, a splicing factor involved in spliceosome disassembly. Biochem Biophys Res Commun. 390(3):1044-50. PubMed PMID: 19857462; PubMed Central PMCID: PMC2787706. Tannukit S, Wen X, Wang H, Paine ML. (2008) TFIP11, CCNL1 and EWSR1 Protein-protein Interactions, and Their Nuclear Localization. Int J Mol Sci. 9(8):1504-1514. PubMed PMID: 19122807; PubMed Central PMCID: PMC2605624. Wen X, Tannukit S, Paine ML. (2008) TFIP11 interacts with mDEAH9, an RNA helicase involved in spliceosome disassembly. Int J Mol Sci., 9(11), 2105-2113. PubMed PMID: 19165350; PubMed Central PMCID: PMC2629433. Shapiro JL, Wang H, Wen X, Tannukit S, Paine ML. (2006) An amelogenin minigene to study alternative splicing. DNA Cell Biol. 25(1):1-5. PubMed PMID: 16405395. Yin Y, Huang J, Paine ML, Reinhold VN, Chasteen ND. (2005) Structural Characterization of the Major Extrapallial Fluid Protein of the Mollusc Mytilus edulis: Implications for Function. Biochemistry. 44(31):10720-31. Paine ML, Paine CT, Machin GA. (2004) Hair whorls and monozygosity. J Invest Dermatol. 2004 Apr;122(4):1057-8. PubMed PMID: 15102099. Paine ML, Hansen DJ. (2002) Factors influencing children to self-disclose sexual abuse. Clin Psychol Rev. 2002 Mar;22(2):271-95. Review. PubMed PMID: 11806022. Paine ML, Slots J, Rich SK (1998) Fluoride use in periodontal therapy: A review of the literature. Journal of the American Dental Association, 129, 69-77. Paine ML, Krebsbach PH, Chen LS, Paine CT, Yamada Y, Deutsch D, Snead ML (1998) Protein to protein interactions: Criteria defining the assembly of the enamel organic matrix. Journal of Dental Research, 77, 496-502. Paine ML, Snead ML (1997) Protein interactions during assembly of the organic extracellular matrix. Journal of Bone and Mineral Research, 12, 221-227. Paine ML, Gibbins JR, Kefford RF (1997) Non-coexpression of collagenase and transin in malignant epithelial cells. International Journal of Oncology, 10, 615-618. Paine ML, Deutsch D, Snead ML (1997) Carboxyl-region of tuftelin mediates self-assembly. Connective Tissue Research, 35, 157-161. Fincham AG, Baehner R, Chai Y, Crowe DL, Fincham C, Iskander M, Landesman HM, Lee M, Luo W, Paine M, Pereira L, Moradian-Oldak J, Rosenblum A, Snead ML, Thompson P, Wuenschell C, Zeichner-David M, Shuler CF (1997) Problem-based learning at the University of Southern California School of Dentistry. Journal of Dental Education, 61, 417-425. Paine ML, Gibbins JR, Choi JK, McDonald DA, Manthey AM, Walker DM, Kefford RF (1995) Intranuclear post transcriptional down-regulation responsible for loss of a keratin differentiation marker in tumour progression. Anticancer Research, 15, 2145-2154. Paine ML, Gibbins JR, Whitelock JM, O'Grady RL, Kefford RF (1993) Unregulated and independent expression of collagenase and transin related to tumor progression. Journal of the National Cancer Institute, 85, 1425-1427. Whitelock JM, Paine ML, Gibbins JR, Kefford RF, O'Grady RL (1993) Multiple levels of post-transcriptional regulation of collagenase (matrix metalloproteinase 1) in an anaplastic cell line. Immunology and Cell Biology, 71, 39-47. Paine ML, Gibbins JR, Chew KE, Demetriou A, Kefford RF (1992) Loss of keratin expression in anaplastic carcinoma cells due to post-transcriptional down-regulation acting in trans. Cancer Research, 52, 6603-6611.